Planning an ice cream party? 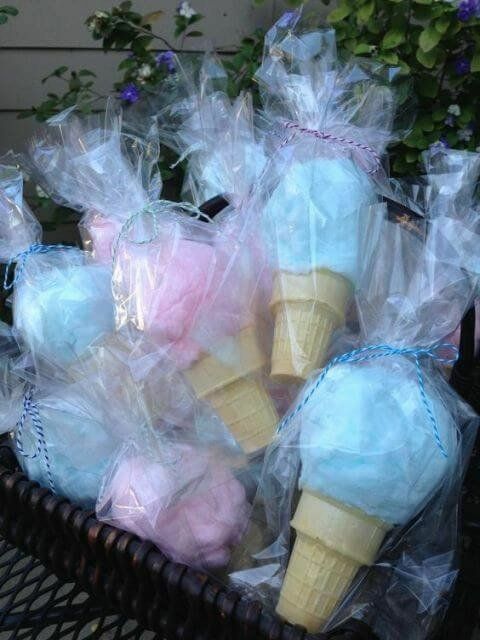 Get inspiration for your event from these 26 sweet ice cream party ideas! An ice cream party is surely sweet and can’t be beat! What kid doesn’t love ice cream, right?! You definitely can’t go wrong with this fun theme. 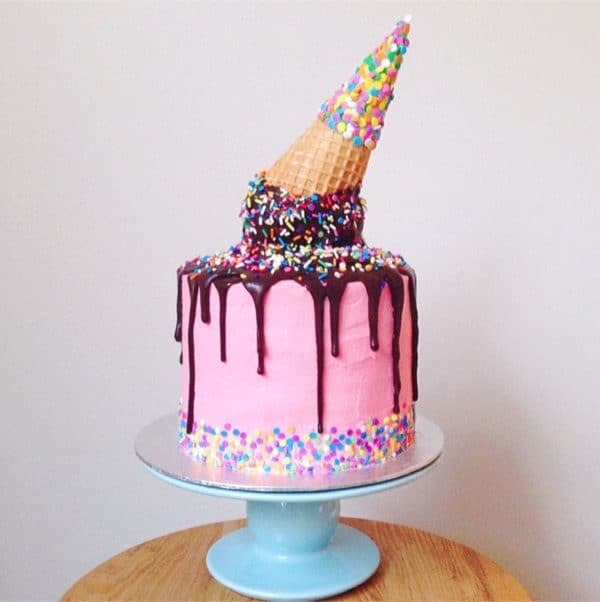 If your mind is set on an ice cream birthday with all the toppings, check out these 26 Sweet Ice Cream Party Ideas that are sure to be a big hit with your guests! 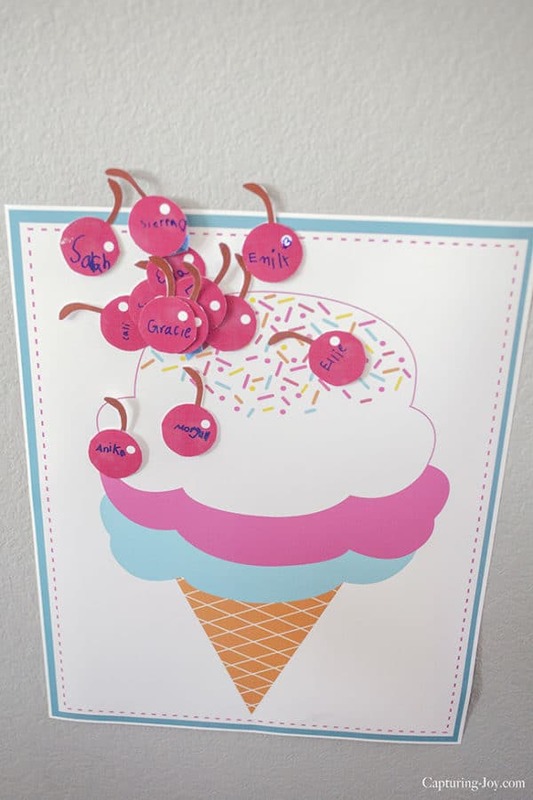 Every birthday party needs some fun games and this Pin the Cherry on the Ice Cream Game is perfect! 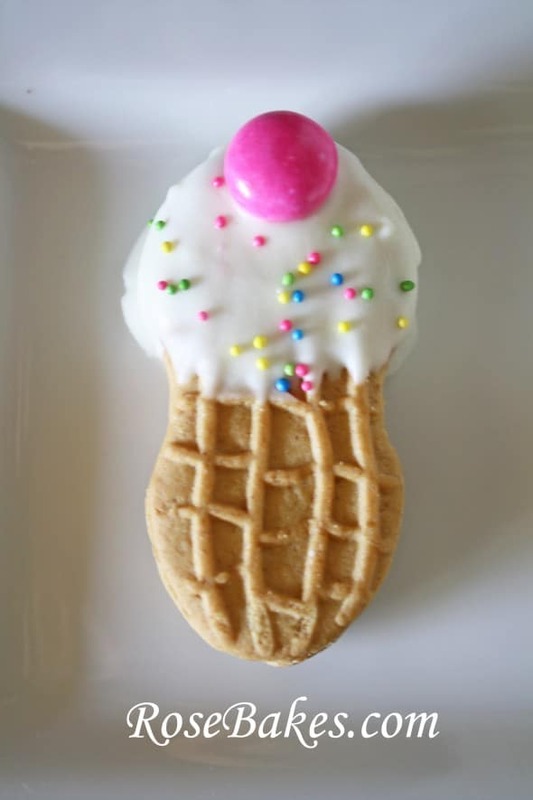 This sweet DIY Ice Cream Cone Decoration is perfect for your party! 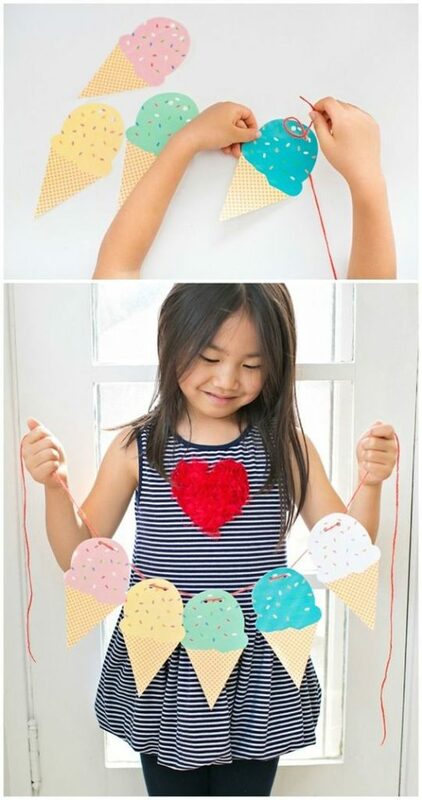 Hang them around the party venue for a fun ice cream social! 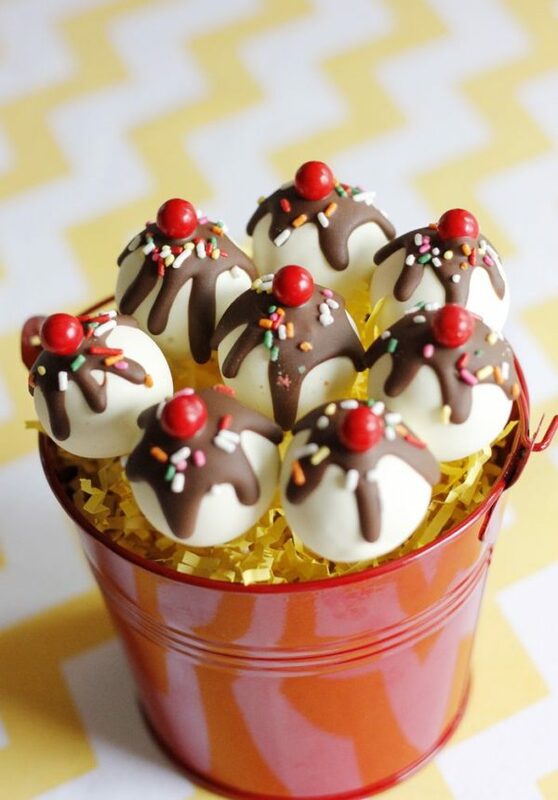 These Banana Split Sundae Cake Pops are divine and perfect for an ice cream themed birthday party! 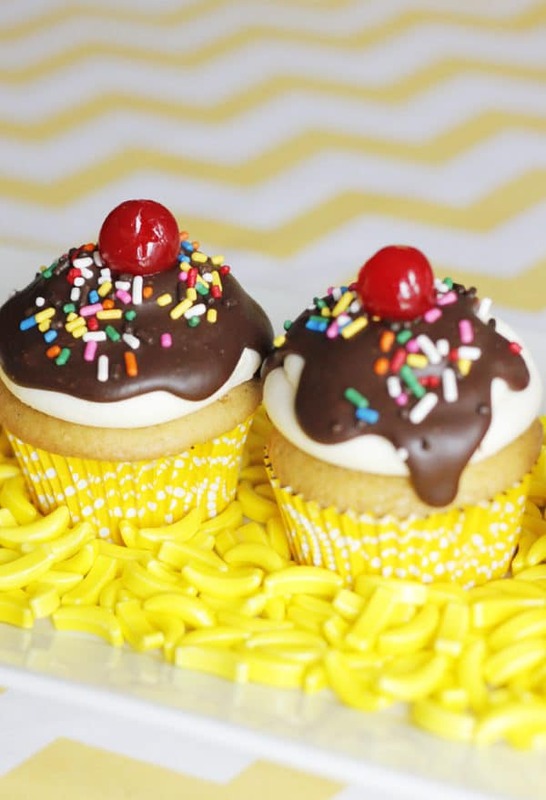 Pair the cake pops with these delicious Banana Split Sundae Cupcakes! 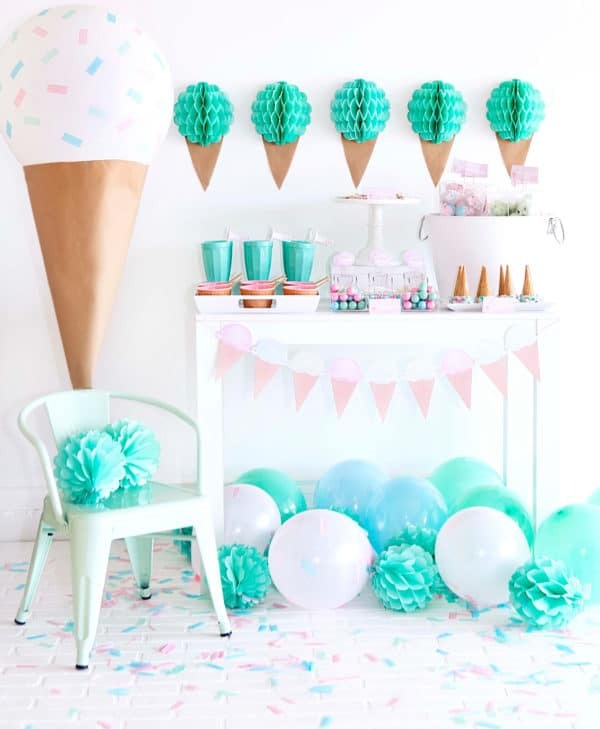 These fun Ice Cream Parlor Party Decorations are perfect! 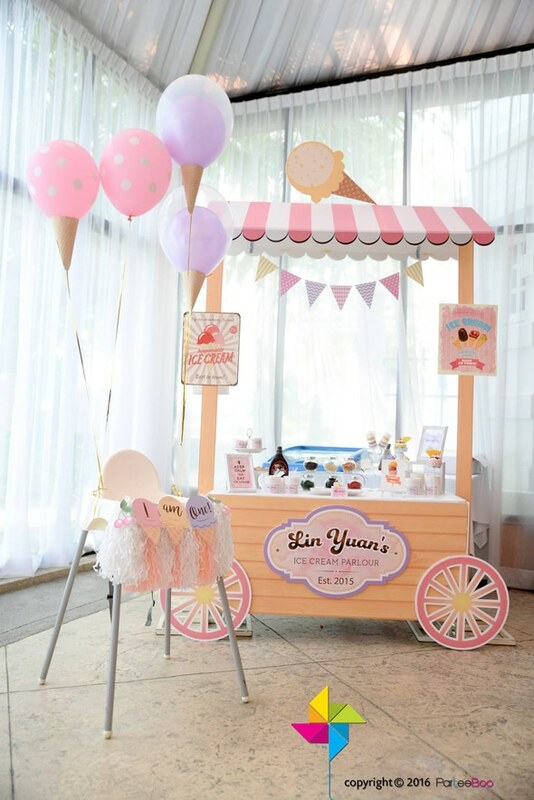 Look at the sundae bar and those DIY ice cream cone balloons … PERFECTION! The kids will have a blast wearing this DIY Ice Cream Cone Party Hat! 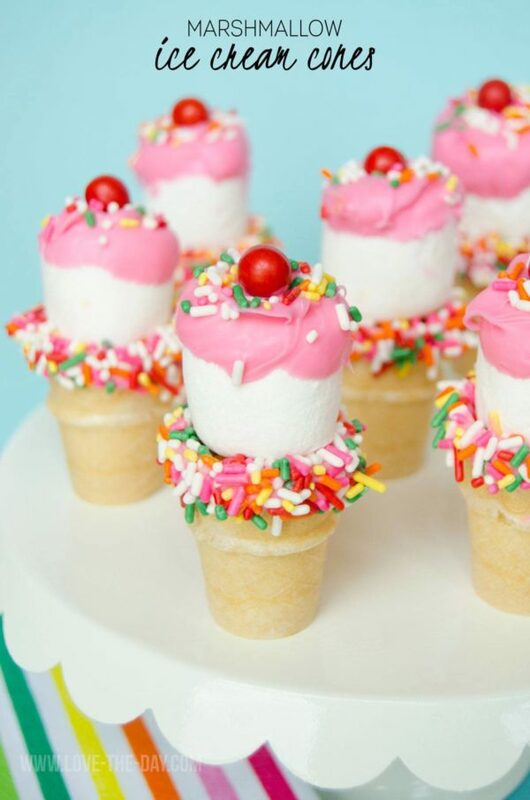 How adorable are these Mini Marshmallow Ice Cream Cones?! Serve them to your little guests and they will be a hit! 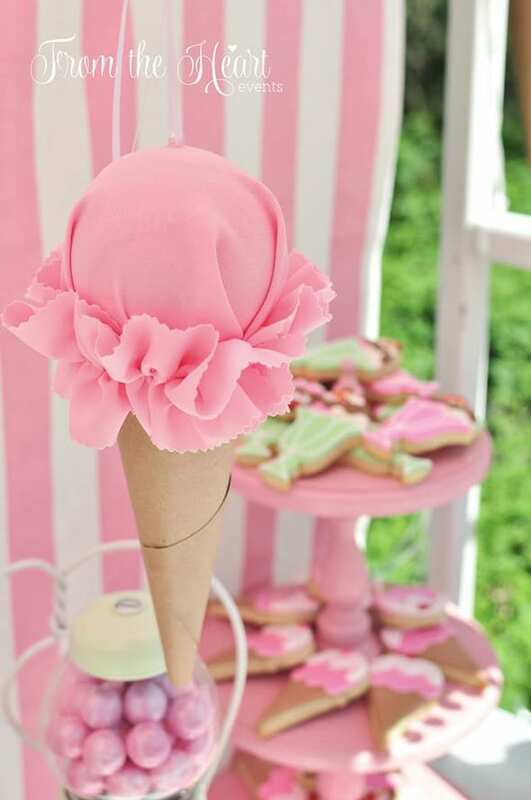 We absolutely adore this Pink and Mint Ice Cream Party Dessert Table! Everything from the giant DIY balloon ice cream cone decoration to the sprinkle confetti on the floor is picture-perfect! 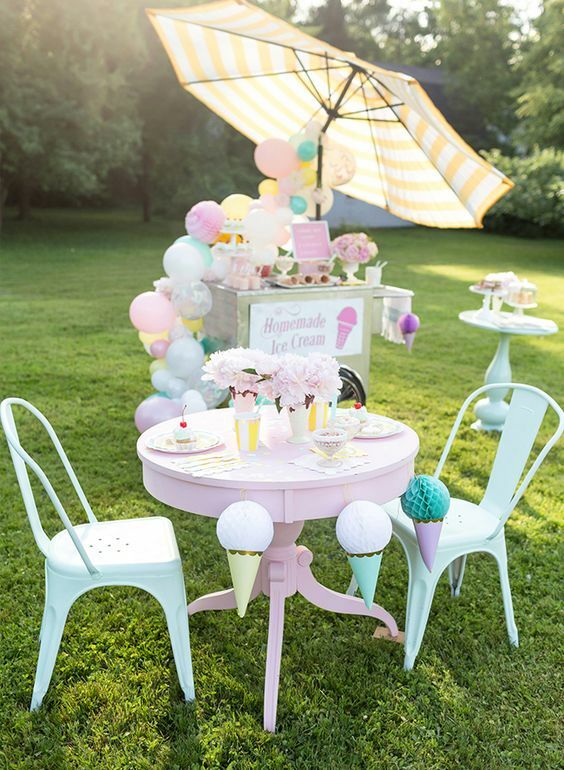 This Kids’ Pastel Outdoor Ice Cream Party features an ice cream cart with homemade ice cream! 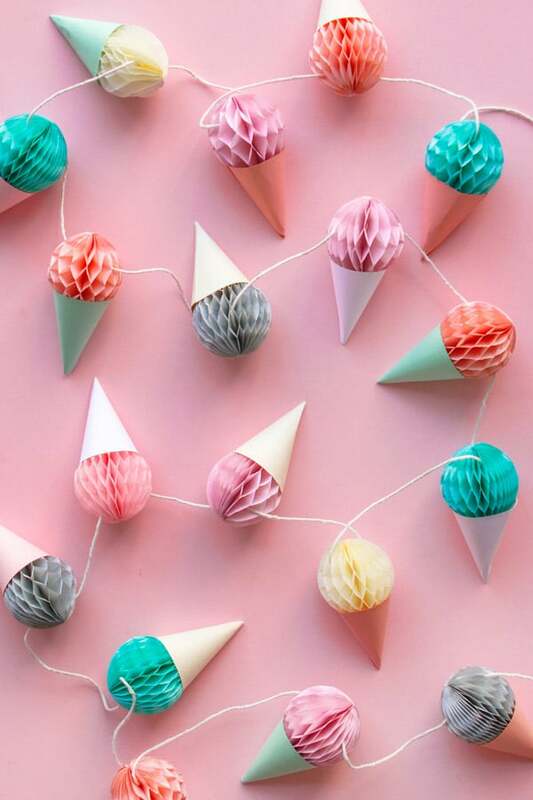 This Free Printable Ice Cream Cone Garland is perfect to hang around your ice cream themed party! 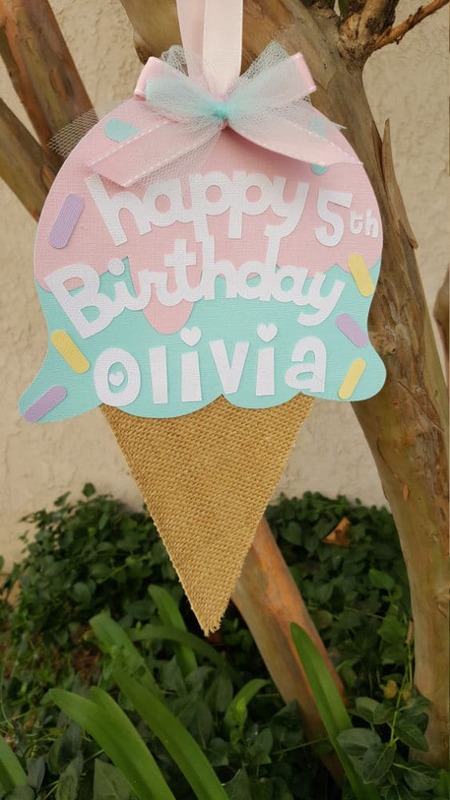 We love this Ice Cream Cone Party Sign that’s perfect for any little one’s party! How cute and clever are these Nutter Butter Ice Cream Cones?! 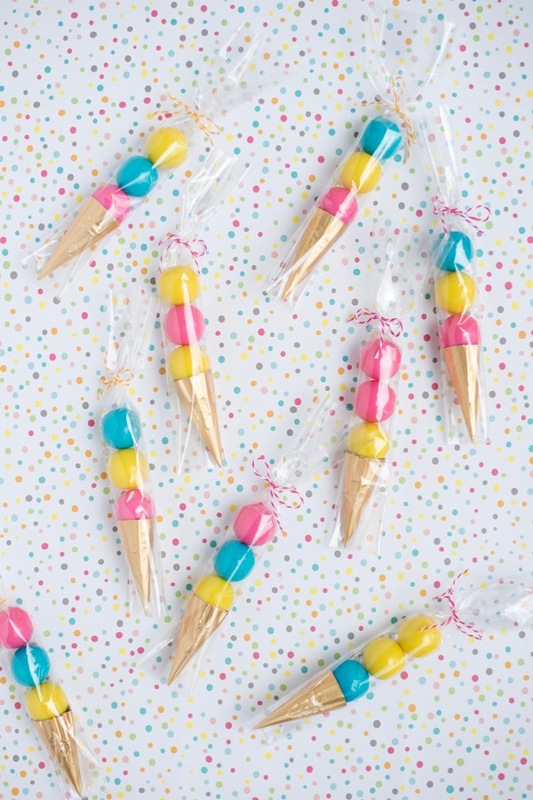 How adorable are these DIY Ice Cream Cone Party Favors?! 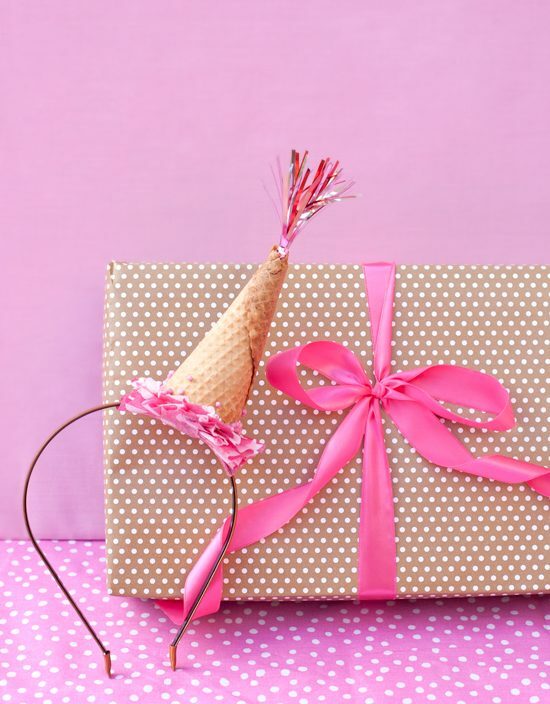 DIY Ice Cream Cone Party Hat will be a hit with the kids! 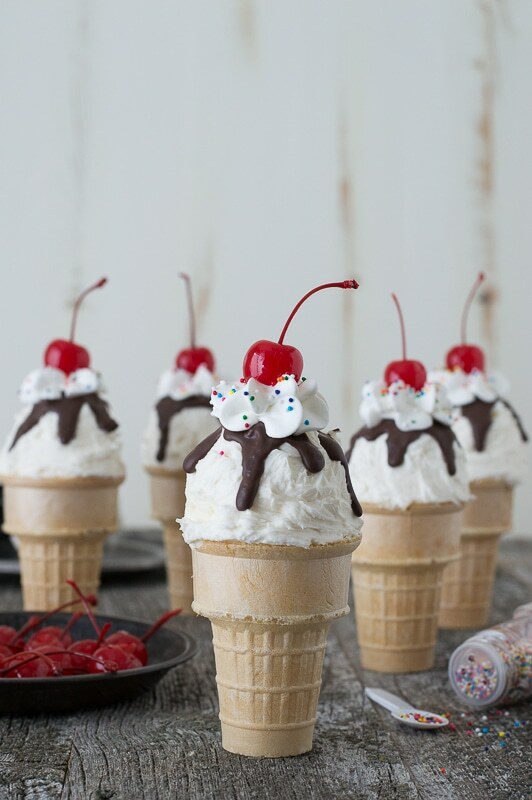 This DIY Mini Ice Cream Cone Garland is awesome! Hang it across your dessert table or gift table for a fun party decoration! 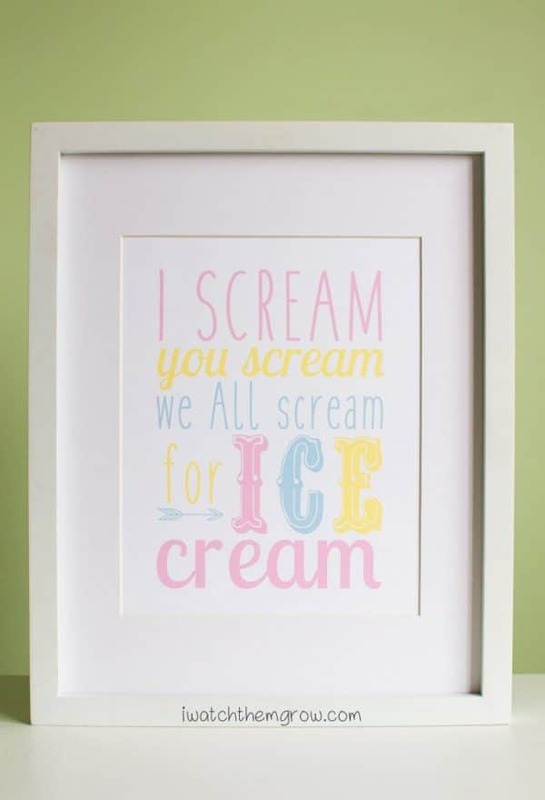 Grab these Free Ice Cream Party Printable Signs for your little’s one’s party! Every ice cream party needs a sundae bar, right?! 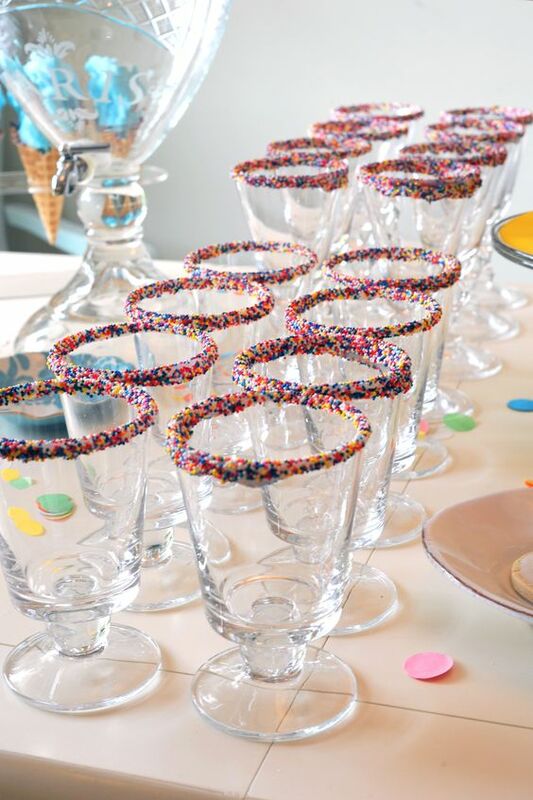 Add these Sprinkles Ice Cream Cups to your ice cream bar for some added fun! 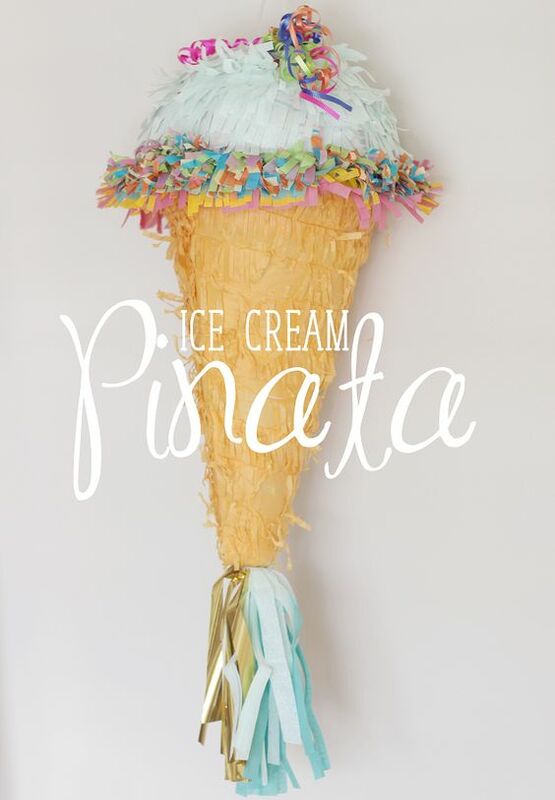 Make this fun DIY Ice Cream Cone Piñata! This also doubles as a great party decoration! Don’t you just love all of these Sweet Ice Cream Party Ideas?! 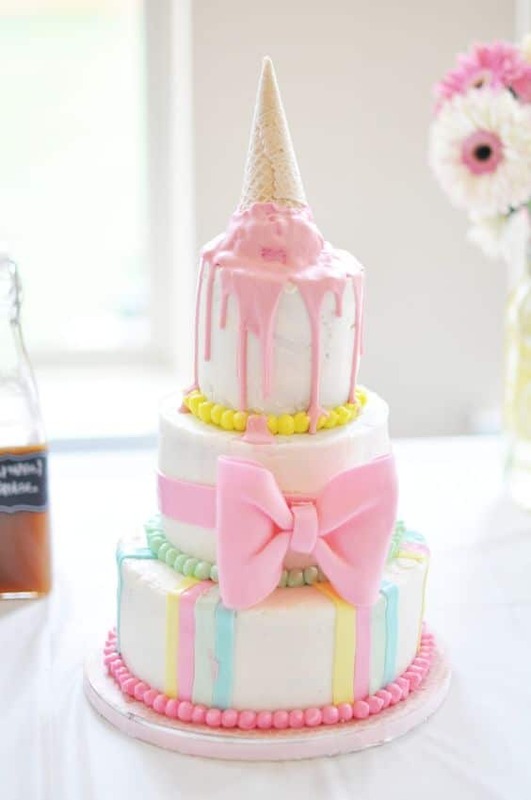 This Ice Cream Drip Cake will make the perfect centerpiece to your dessert table. 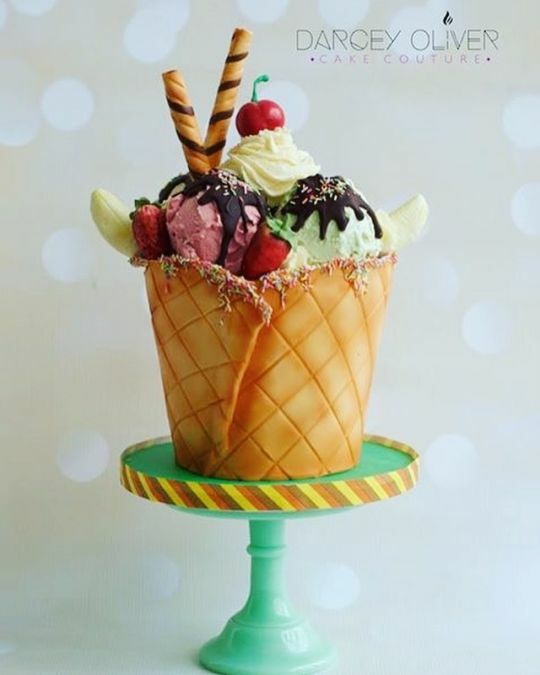 This Ice Cream Sundae Cake definitely takes the cake for most creative! Look at the design and detail of this Ice Cream Sundae Cake! AWESOME! 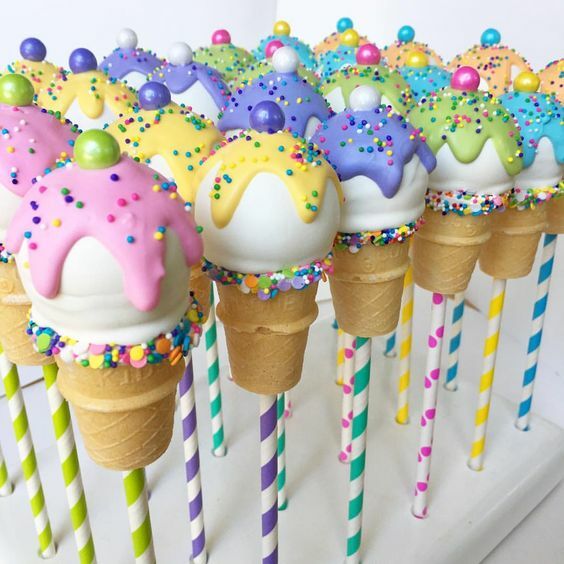 How perfect are these Ice Cream Cone Cake Pops?! The kids will love these Ice Cream Cone Cupcakes! 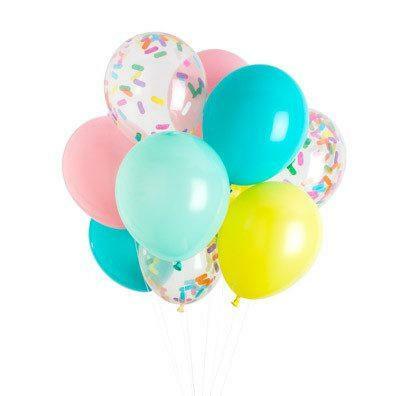 Add these fun Ice Cream Collection Party Balloons to your decor! Which of these 26 Sweet Ice Cream Party Ideas are your favorites? Let us know in the comments below! 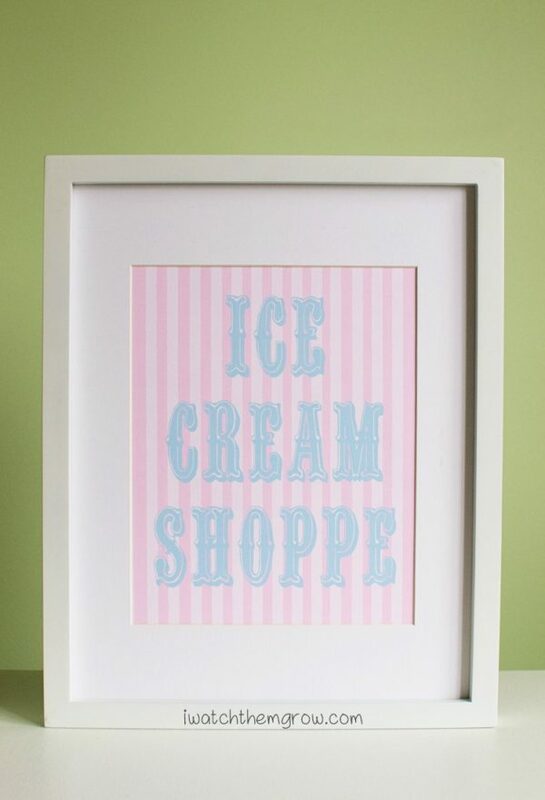 Thank you for sharing my ice cream party sign printables! 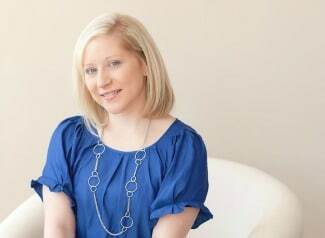 So many great ideas, I just adore this party theme!